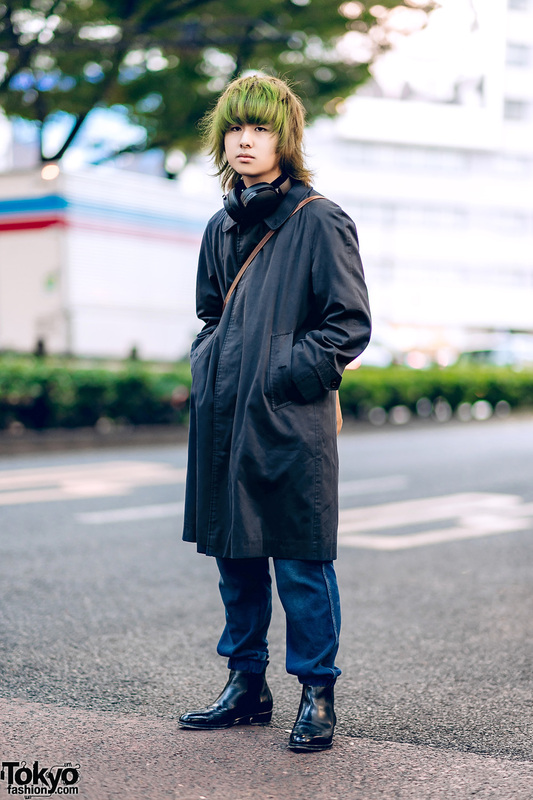 Japanese student wearing all black in Harajuku. 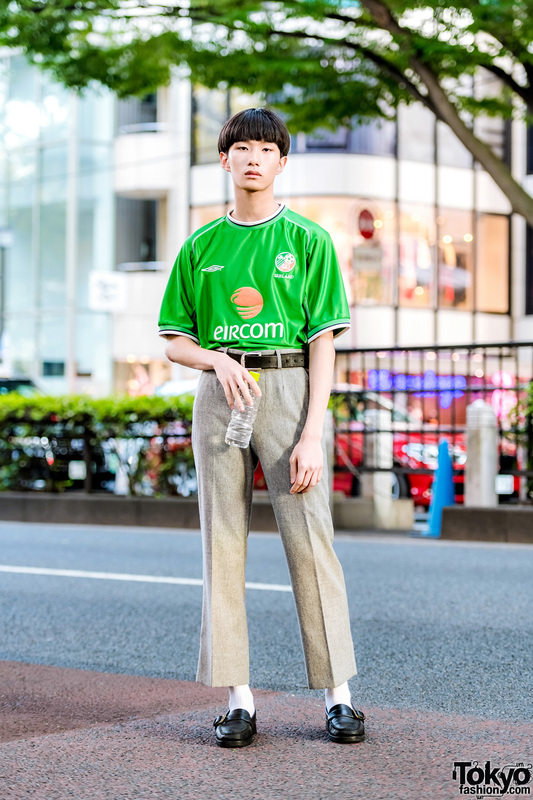 Japanese student wearing a pinstriped button-down top as a dress in Harajuku. 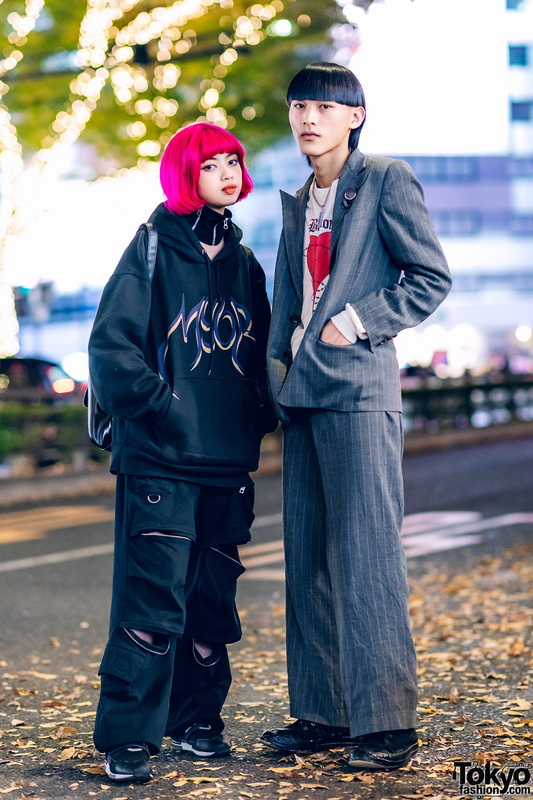 Harajuku student dressed in a grey sweater, tiered skirt and leather loafers.